When we start anything new, we always start with a sweet. Now, when ‘dosaikal’ is stepping forward into another new year, let us enter with a sweet. Birthday of any member of the family or Marriage Anniversary is celebrated with the person/couple’s favourite payasam (of course cakes for youngsters in the evening); Entry into a new house – ‘pudhu manai pugu vizha’ in tamil or the house-warming ceremony is started in the new kitchen by boiling milk with sugar/jaggery flavoured with cardamom; Festivals begin with specific sweets of the occasion early in the morning. 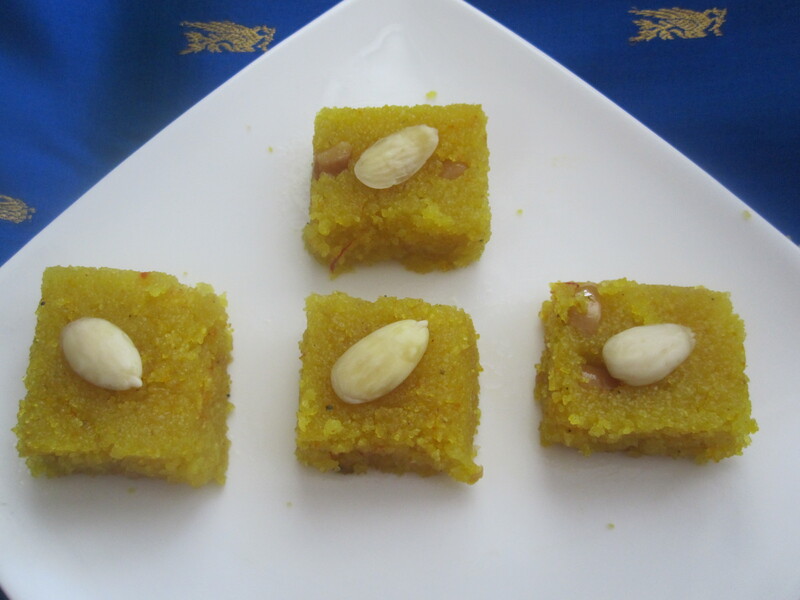 So, where does this Ravai/Rava Kesari come in ….? It is a simple and quick sweet dish which accommodates itself on all occasions. 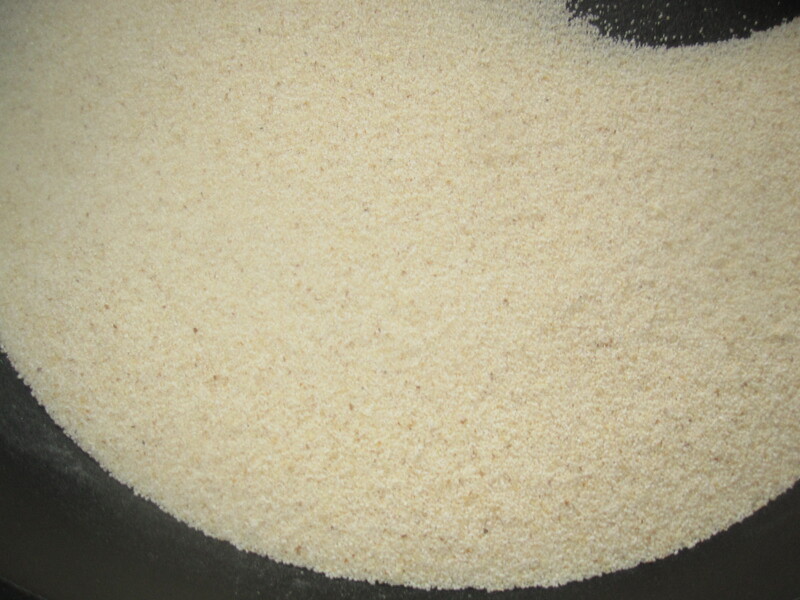 To start a breakfast feast menu, to go with a snack and filter kaapi (https://dosaikal.com/2011/08/18/the-morning-cup-of-coffee) for evenings or as and when to satisfy the urge of the extra sweet tooth – the versatile ravai/rava kesari is certainly a show stealer – and one of my favourite sweets. The name saffron comes from Arabic, where the spice is known as za’fran that name derives from a Semitic root signifying “be yellow” or “become yellow”. Almost all European and several non-European languages have loaned that name. 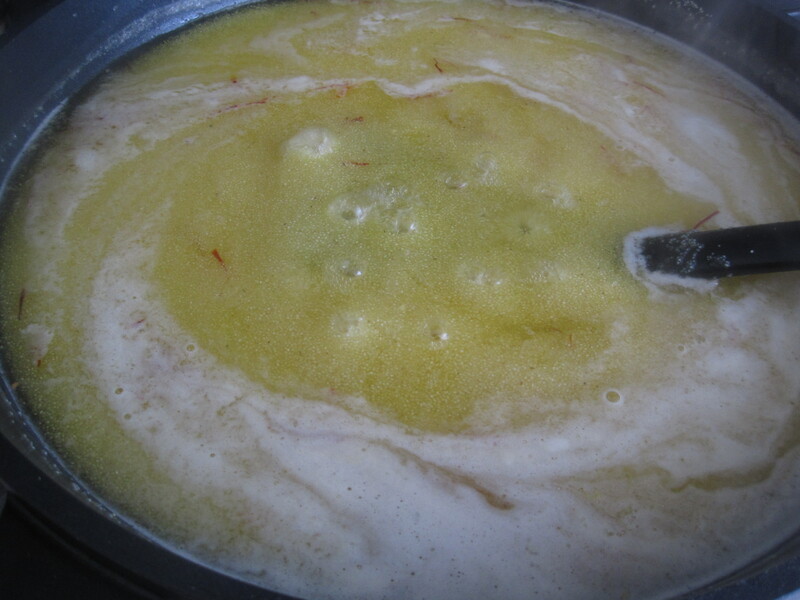 In Tamil, saffron/kesar is called kungumapoo – combination of kungumam and poo. Kungumam/Kumkum is the red coloured mark applied on the forehead, by women in India (mostly Hindus) and religiously by both men and women; Poo means flower. So, Kungumapoo means the vermilion coloured flower. 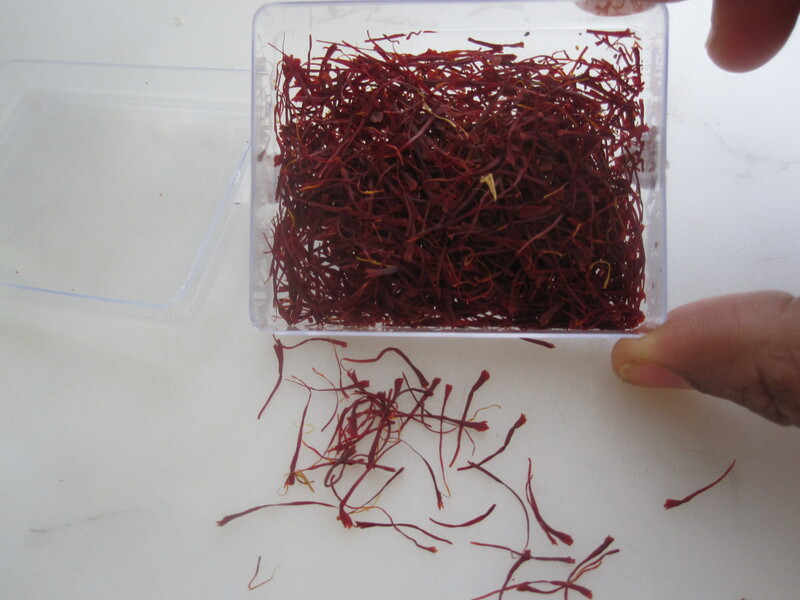 Kesar – kungumapoo – saffron is grown in Kashmir, a state in northern India. 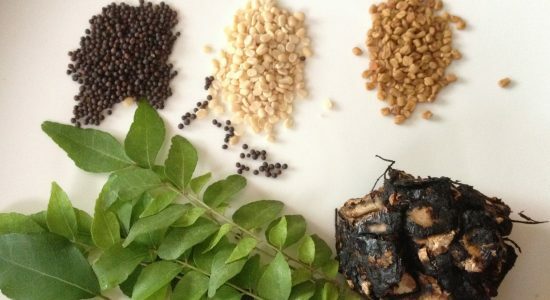 In the south of India, the world’s most expensive spice is used in rarity – I think mostly expecting mothers add to their glass of milk. 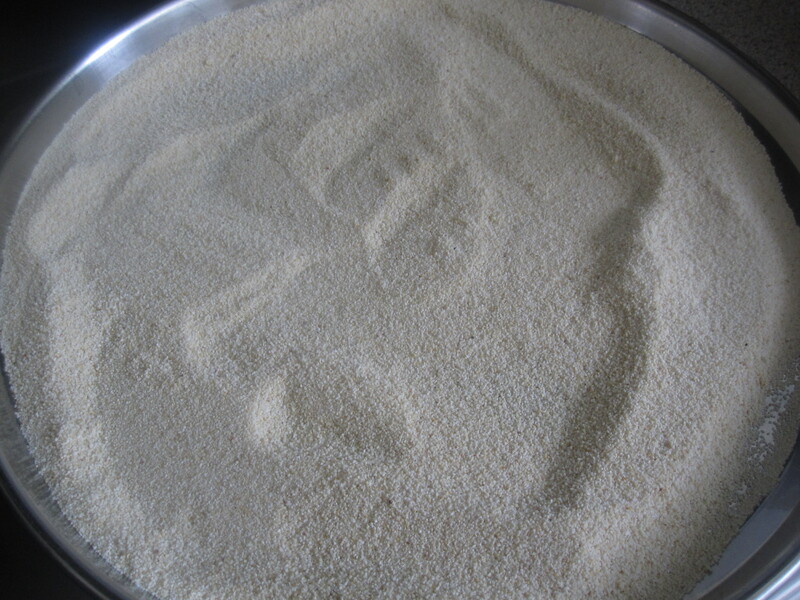 In North India, Semolina Pudding is called Sooji ka Halwa – literally translated as semolina halwa/pudding. 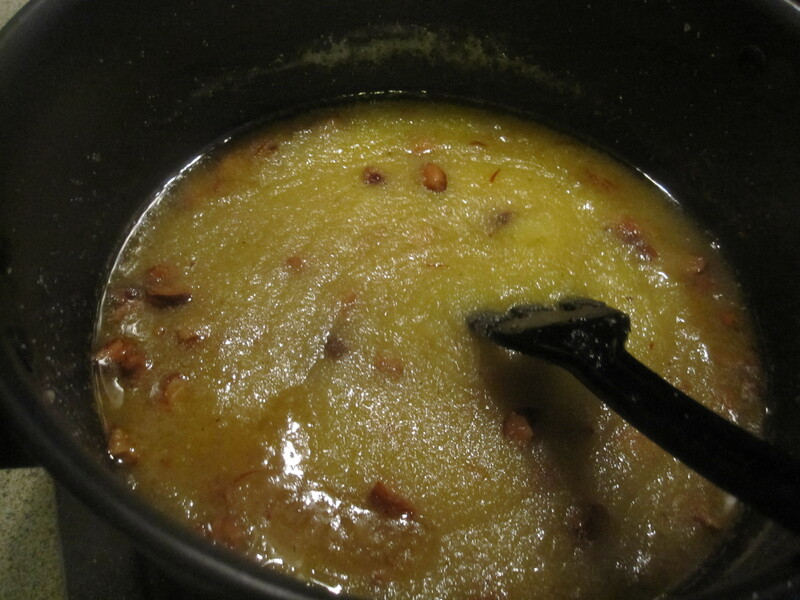 Sooji ka Halwa does not have the touch of saffron – it has the subtle colour of roasted semolina in clarified butter. 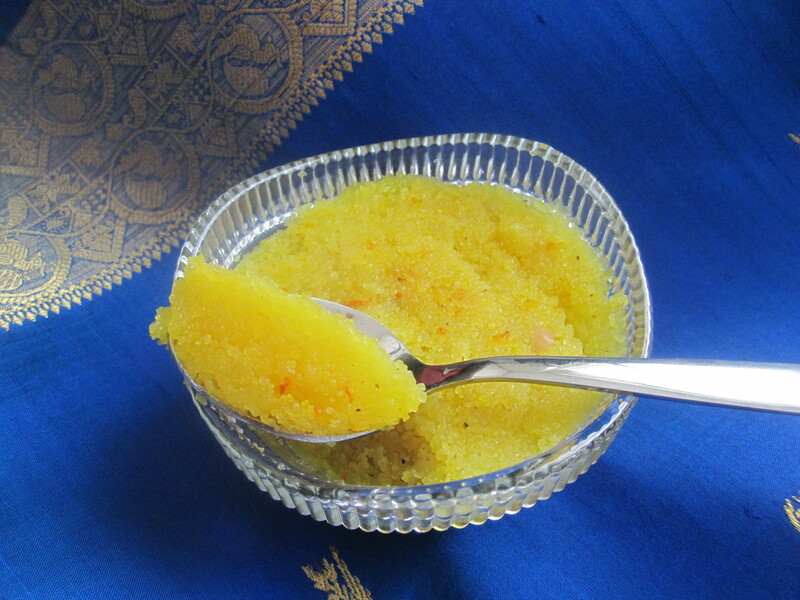 But, the south indian version of semolina pudding has the colour of saffron and hence it must have got its name KESARI. Nowadays, generally, orange food colour is added to Kesari for the colour. 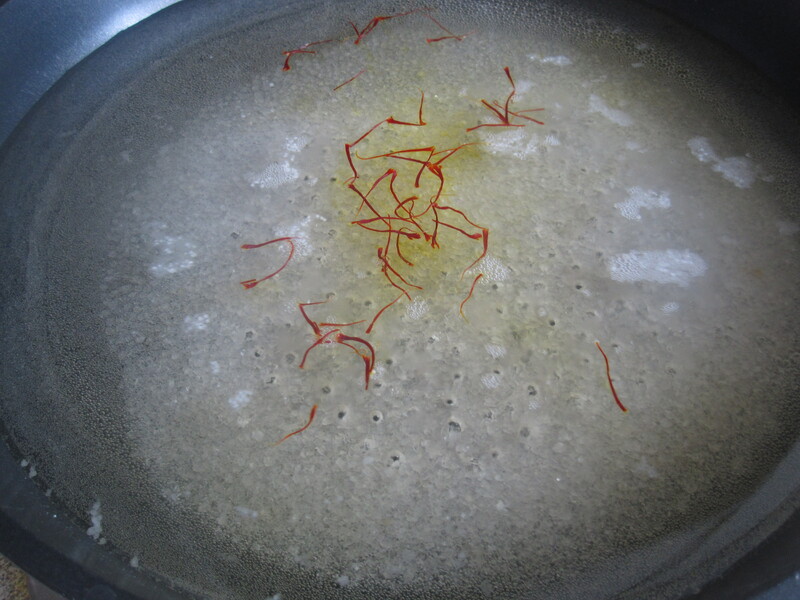 In many households, kungumapoo/saffron is added to give Kesari the original saffrony colour. Now, to the making of Kesari! 14. 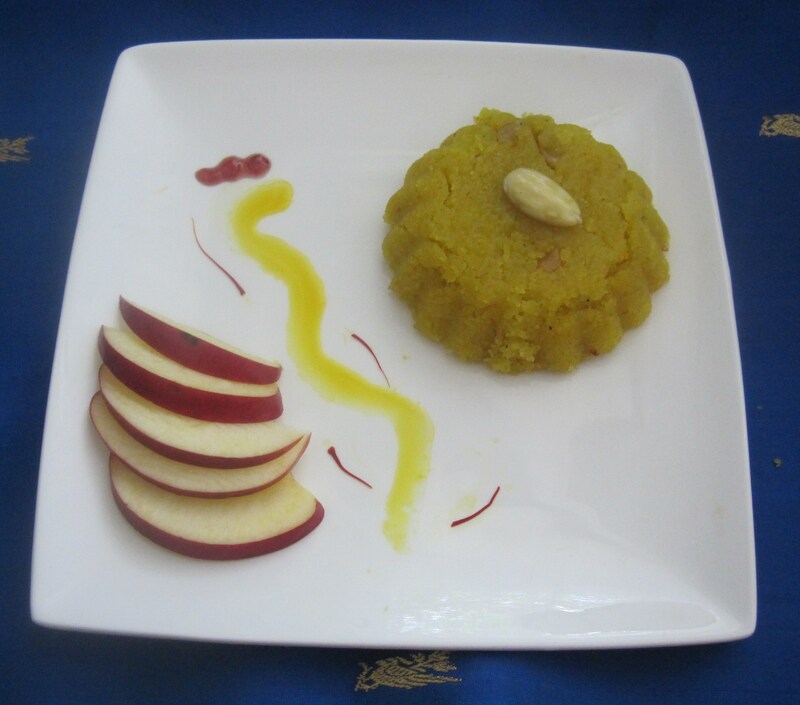 Alternatively, cool kesari and cut to required pieces and garnish with almonds. or serve as you wish! 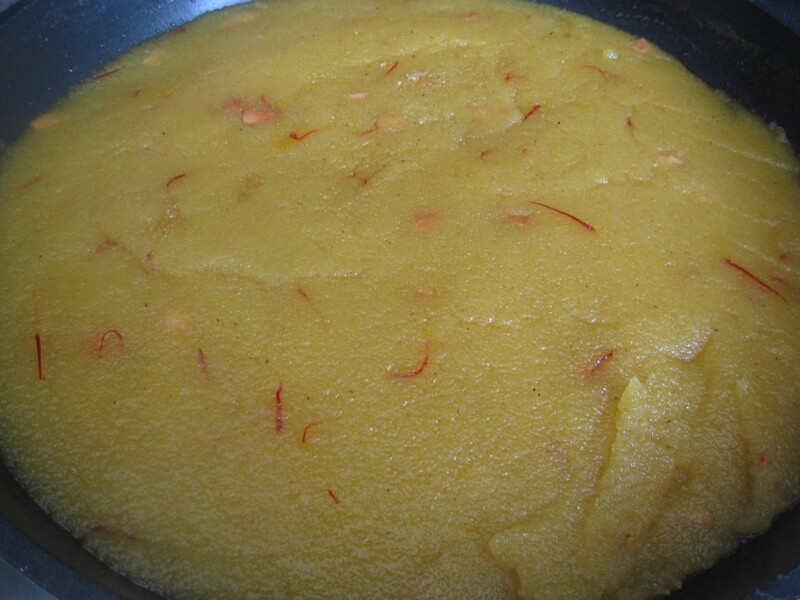 Always pour hot nei/ghee/clarified butter into cooked kesari to bring out the best consistency. Previous Post Nanri! – dosaikal completes a year! Next Post Tale of five cities – Part I! How to tell we have pure saffron? How to test it? Can you do a post on how to properly make saffron milk and why for females its good? There are different posts online and they all confuse me. Some soak it in water or in milk (either hot, warm or cold water I have no idea and why soak in water and or milk I have no idea. Some don’t soak it at all….) Some say saffron should taste sweet others say it shouldn’t! So much contradiction. Thanks for stopping by. Surely will try to do a post in the near future.